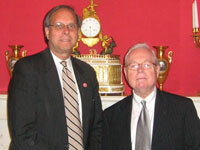 10/24/2008 – The American Hungarian Federation Participates in White House Briefing and Ceremony for NATO Accession Protocols for Croatia and Albania. 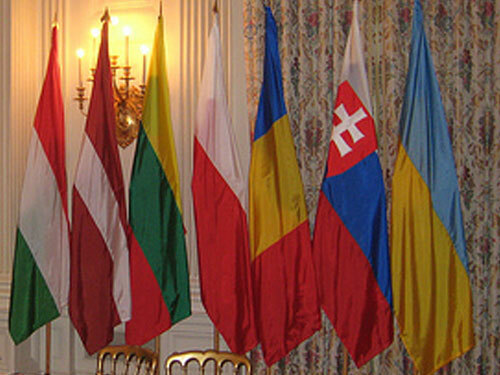 During a briefing at the White House on Friday, October 24, President George W. Bush thanked leaders from the Central and East European Coalition (the “CEEC”) for their support of NATO enlargement. The briefing preceded a ceremony in which President Bush signed NATO Accession Protocols for Croatia and Albania. 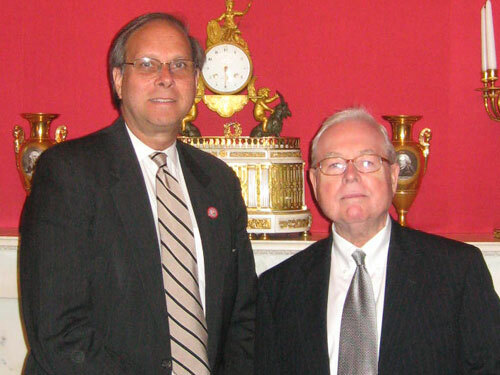 Frank Koszorus, Jr. and Zoltan Bagdy, co-presidents of the American Hungarian Federation (the “Federation”) – an active member of the CEEC – attended both events. At the briefing in the State Dining Room, President Bush spoke to the CEEC members for nearly half an hour about the future of NATO, the priorities of his administration and its accomplishments. He thanked the members of the CEEC for their role in supporting the NATO enlargement process. President Bush emphasized that the work of the CEEC must continue and that NATO must take in those countries that aspire to and are ready to share the burdens of membership, including Macedonia, Ukraine and Georgia. United States Ambassador to NATO Kurt Volker and Assistant to the President for Strategic Initiatives and External Affairs Barry Jackson also briefed the CEEC. The topics discussed at the briefing included the President’s Freedom Agenda, the Victims of Communism Memorial in Washington, D.C., the Visa Waiver Program, issues facing Ukraine and Georgia, support of democracy building in Belarus and Cuba, the upcoming 60th NATO Summit in 2009, and current U.S./Russian relations. On behalf of the CEEC, Mr. Koszorus raised the issue of MAP for Georgia and Ukraine during the briefing. National Security Advisor Stephen Hadley, Deputy National Security Advisor Judith Ansley, Damon Wilson, Adam Sterling and Maria Germano of the National Security Council were also present at the briefing along with and Vanessa Beebe from the Office of Public Liaison. The CEEC submitted its October 2008 Position Statement to the White House. In addition to many of the issues addressed at the briefing, the Statement, which the Federation helped draft, also included concerns regarding funding assistance to the Central and Eastern Europe, U.S. international broadcasting, energy security, human and minority rights, and prevention of totalitarian crimes and genocide. NATO Secretary General Jaap de Hoop Scheffer joined President Bush at the signing ceremony in the East Room of the White House. Ambassadors from Croatia and Albania attended the event along with Congressman Eliot Engel (D-NY), foreign policy leaders, members of the diplomatic corps, and other members from U.S. ethnic organizations. Most of these are .PDF files. If you do not have the free Adobe Reader, click the icon.